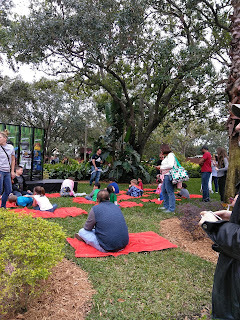 We had a chance to check out the all-new Legoland, FL Ninjago Days which happens only 3 weekends so make sure you don't miss out. When attending make sure to become the ninja with your own free pair of paper ninja eyes handed out at the gate. 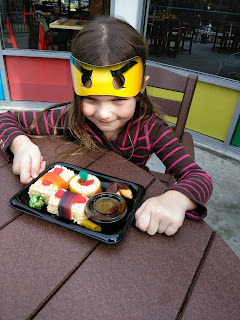 Then be sure to strike a pose with your favorite ninja characters, along with trying some ninja powered food like this Candy Sushi Plate :) very cute and tasty. During Ninago Days you can enjoy a neat acrobatic ninja presentation which occurs at the front of Ninjago Land throughout the day, check your Ninajo Days flyer for info on times, also at 2pm your child can get find their inner chi by participating in Child Yoga, also located in front of Ninjago Land. 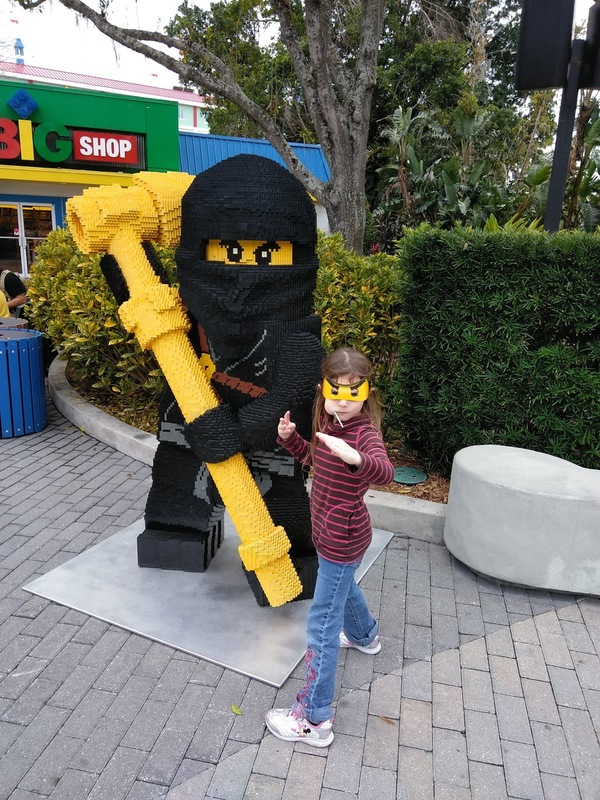 Throughout the day ninjas will be on the lookout for those in costume, make sure to be in Miniland, at the beginning of the hour for a chance to be seen and win a mini figure prize pack. 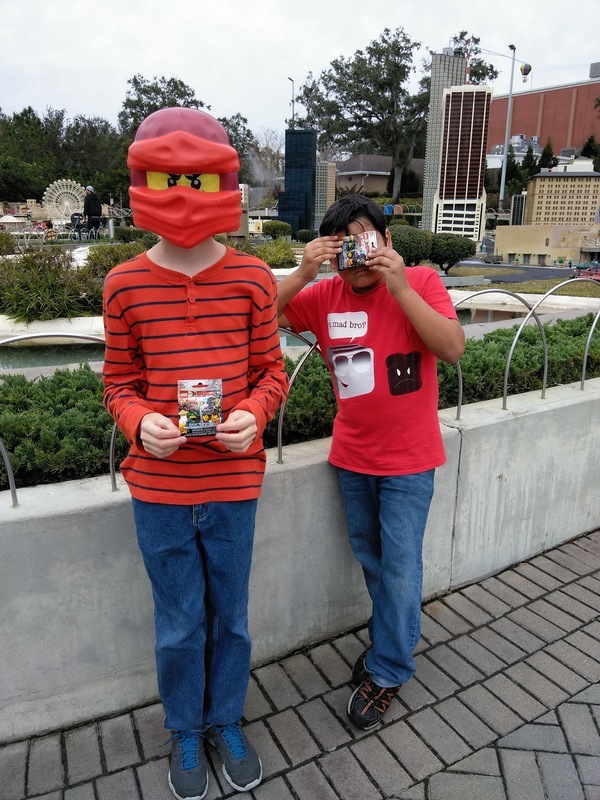 I knew of this before going so I had my son wear a Red Ninjago Face so he would be seen :) it worked. 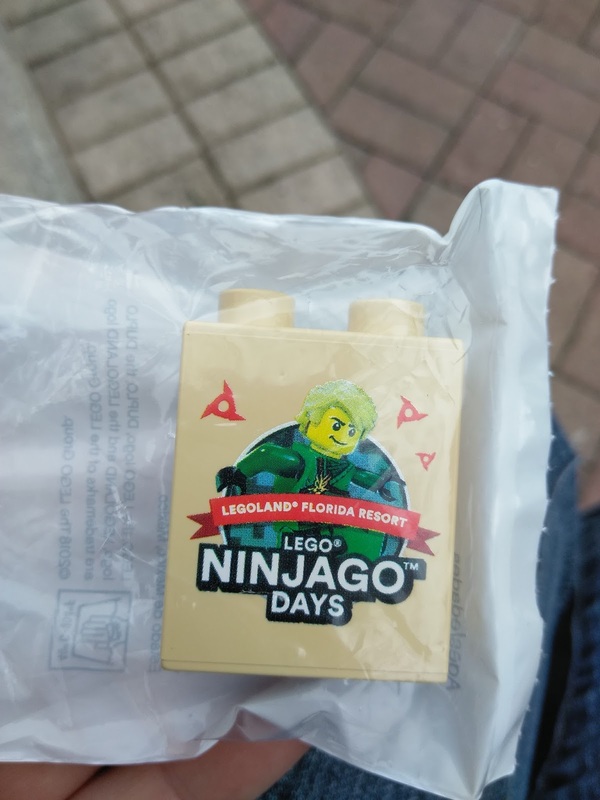 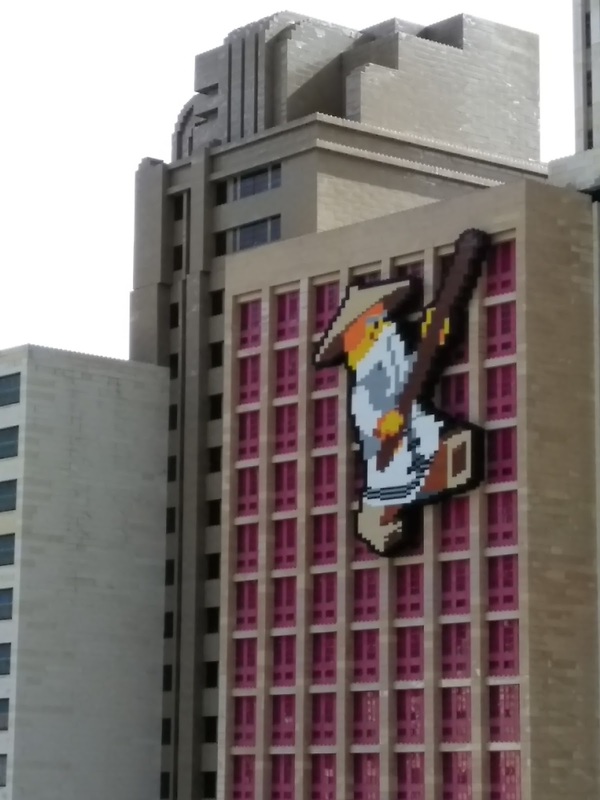 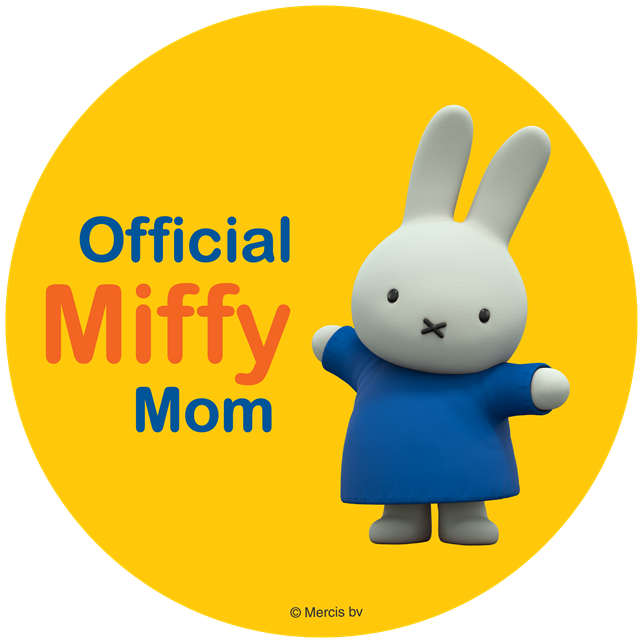 While visiting Miniland make sure you count the Master Wu's throughout for a chance to win a Lego Prize Pack ( I do not know what this prize is ) but everyone in your party will receive a Lego Duplo Limited Edition Block for participating. 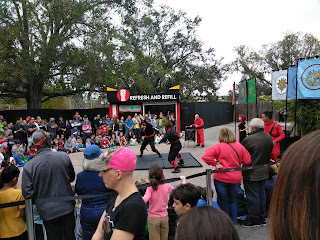 Also be sure to complete your training by visiting the all-new 4D Movie Master of the 4th Dimension, where you will get to see each ninja in their own glory. 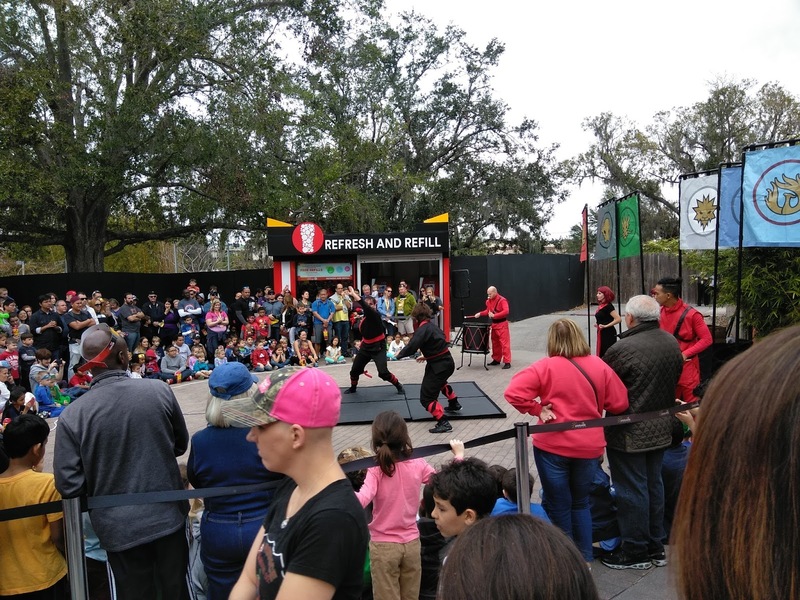 The best thing about Ninajo Days is enjoying your friends and family while checking out some fun exciting rides and shows.